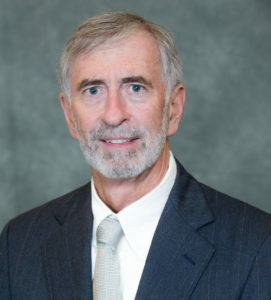 Dennis W. Daley has more than thirty-five years of experience (more than 60 jury trials) representing public and private sector clients in high stakes federal and state court jury trials and appeals in complex civil tort and real estate litigation including inverse condemnation, landslide/subsidence, easements, toxic mold, construction, premises liability and engineering issues. A significant portion of Mr. Daley’s practice involves the representation of public entities in eminent domain proceedings throughout the region. Mr. Daley also practices extensively in the areas of premises liability, insurance defense, and public entity defense. Mr. Daley argued two landmark cases before the California Supreme Court. Tech-Bilt v. Woodward-Clyde set forth the criteria for good faith settlements in multiparty litigation. Knight v. Jewett established Assumption of Risk as a defense under comparative negligence. While earning his law degree from the University of San Diego, Mr. Daley served as Research Editor for the San Diego Law Review. He is admitted to the practice of law in the states of Washington and California, the United States District Court for the Southern District of California, the Ninth Circuit Court of Appeal, and the United States Supreme Court. Mr. Daley represented the City of San Diego in the eminent domain trials involving the acquisition of property for the construction of the downtown San Diego ballpark and adjacent development. He was the lead counsel for the San Luis Rey River Flood Control Project which involved condemning property over the river’s 7.2 mile length within the City of Oceanside. The case included environmental, engineering, zoning, hydrology and landfill issues. Mr. Daley was also lead attorney in condemnation of about 50 parcels in the three phases of the State Route 76 Expressway Project.